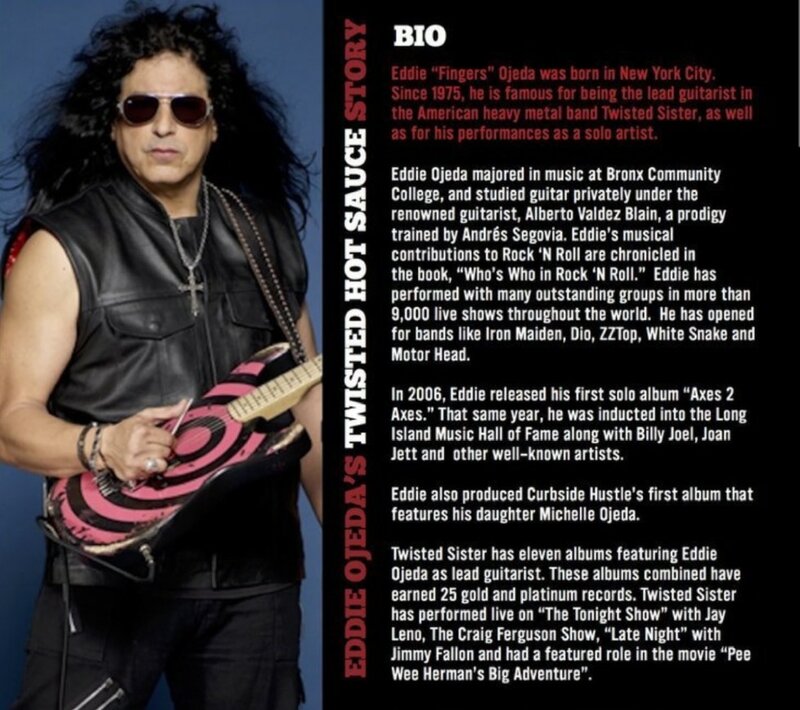 CHERRY HABANERO from EDDIE OJEDA'S TWISTED HOT SAUCE.. Three hot sauces from lead guitar player Eddie Ojeda from the heavy metal band Twisted Sister. These are probably the easiest reviews I've done because the flavors are so spot on to their name sake. 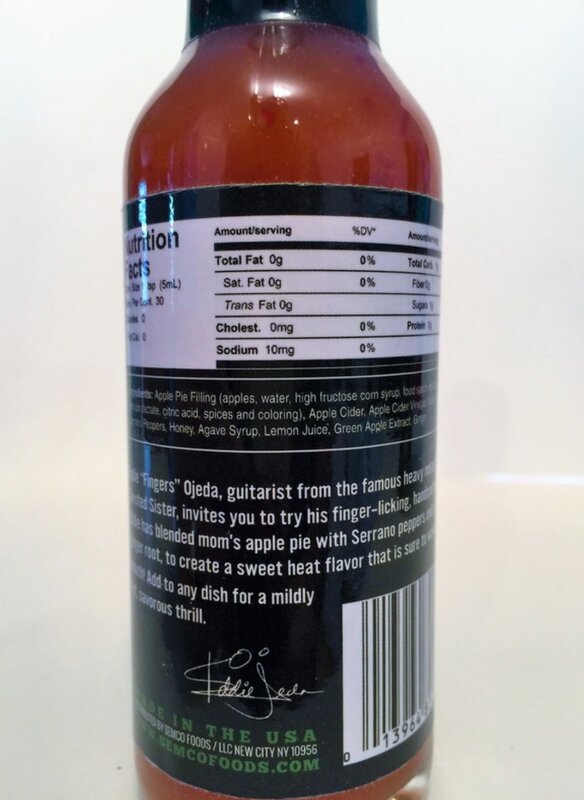 The Cherry habanero tastes just like a black sweet cherry with habanero added in. What a fantastic flavor. With the addition of orange juice, lemon juice and brown sugar, makes this is a sweeter hot sauce, with a hint of vinegar. The heat from the habanero will linger on your tongue as you enjoy it's fantastic flavor. 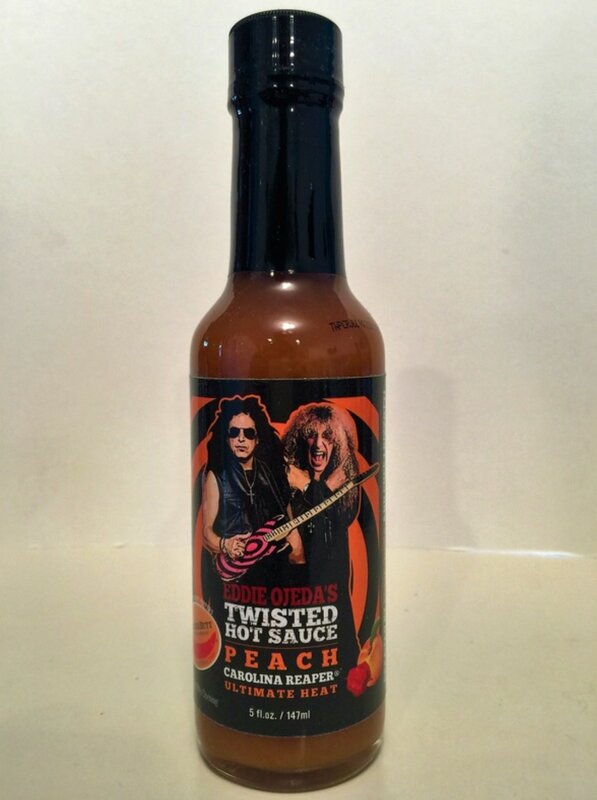 You are definitely going to love this sauce! I used this on chicken, pork and even used it on vanilla ice cream. This also makes a great dipping sauce. You could also mix a few drops with vinegar and oil to make a fantastic salad dressing. Just awesome! PEACH CAROLINA REAPER from EDDIE OJEDA'S TWISTED HOT SAUCE.. Once again the flavor is spot on. 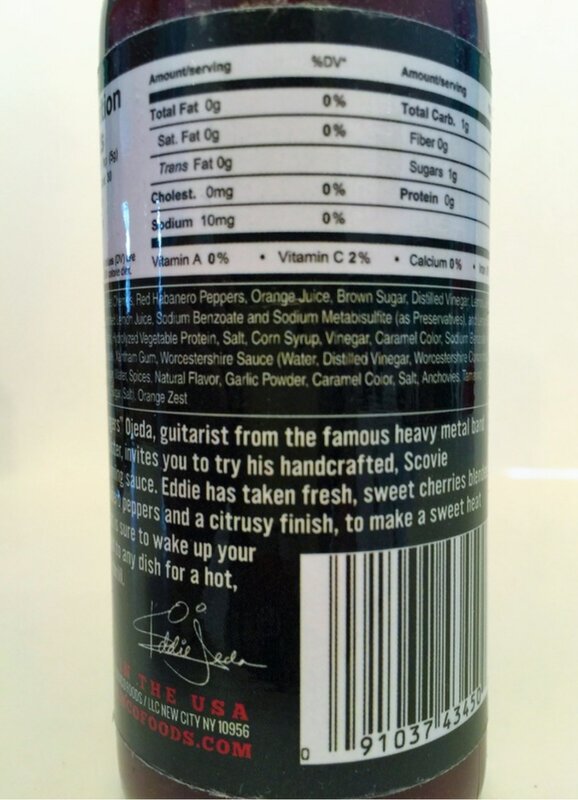 You'll know what this hot sauce will taste like by reading the name. But what really surprised me was how fresh the peach flavor was in this sauce. The addition of the Carolina reaper was a smart choice because the mixture of the two flavors works so well together. You can definitely tell that there was some real thought that went into making these sauces to get such a fresh and true taste. You will also taste a hint of ginger right at the end with a bit of tang from the white vinegar. 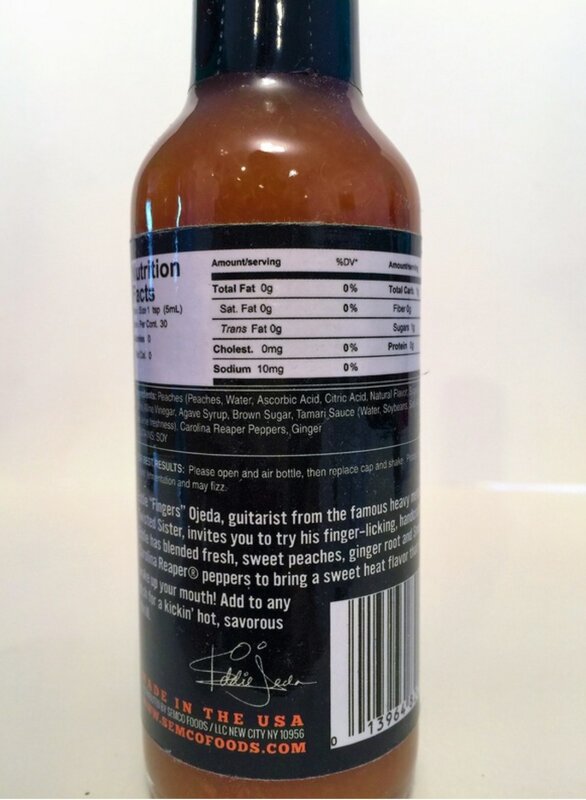 I used this on pork and also made a fantastic unique tasting hot wing sauce that was amazing on the grill! Now you may think I'm a little crazy but you must try a few drops on cottage cheese. You will thank me! Delicious! 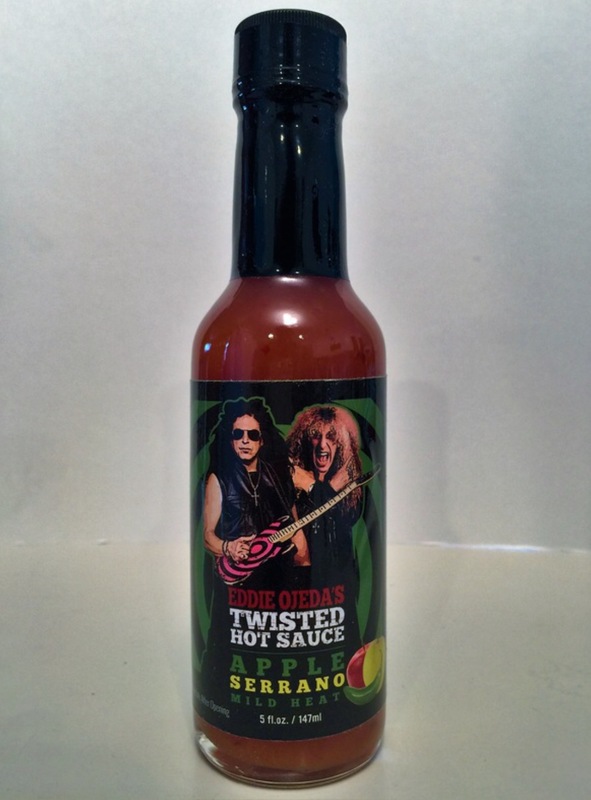 APPLE SERRANO from EDDIE OJEDA'S TWISTED HOT SAUCE.. Not very often that I give a single hot sauce maker a 10 for taste for all their sauces. 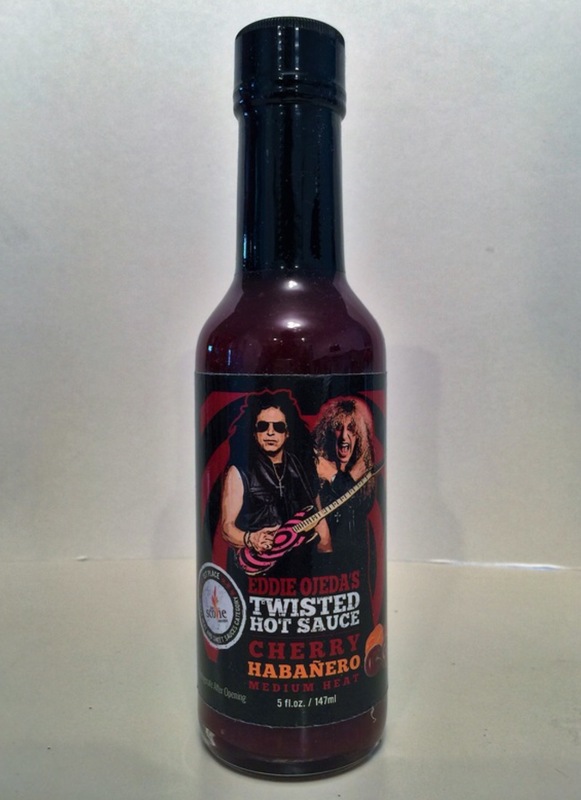 Eddie Ojeda's Twisted Hot Sauce has earned that ranking from me because the taste of these are so amazing. All three are a must try! The Apple Serrano flavor can be described in four words, apple cinnamon pie filling. That's it! There's the addition of serrano pepper, ginger, apple cider vinegar, honey, lemon juice and green apple extract, but the flavor is definitely apple cinnamon pie filling. Because of it's low heat, this makes a awesome ice cream topping, a fantastic dipping sauce or marinade for chicken and pork chops. Why did I wait so long to try these sauces?! You'd be crazy not to try them!